Over the past three days I've done 2 evening tarpon trips and 1 offshore trip. 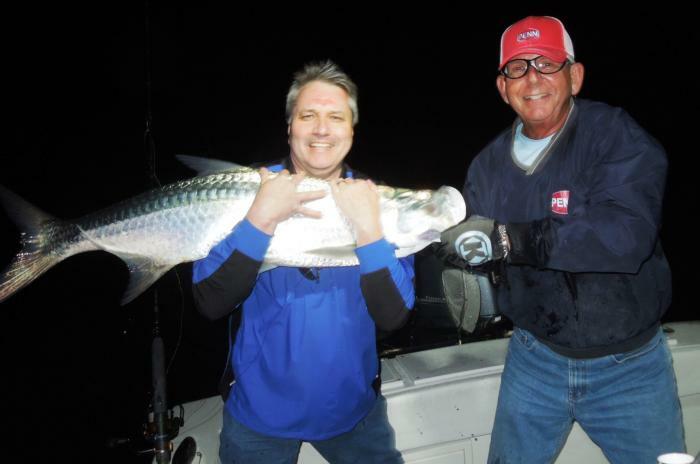 The first evening tarpon trip was with Wendell and his group. Everyone had the opportunity to pull on a tarpon. The fish turned on during the dusk period and the action was steady. We finished the evening going 3 for 3 with the last tarpon being the largest one that required a tag team effort. The next evening was with Adam and Crystal. Once again the tarpon turned on in the dusk period. 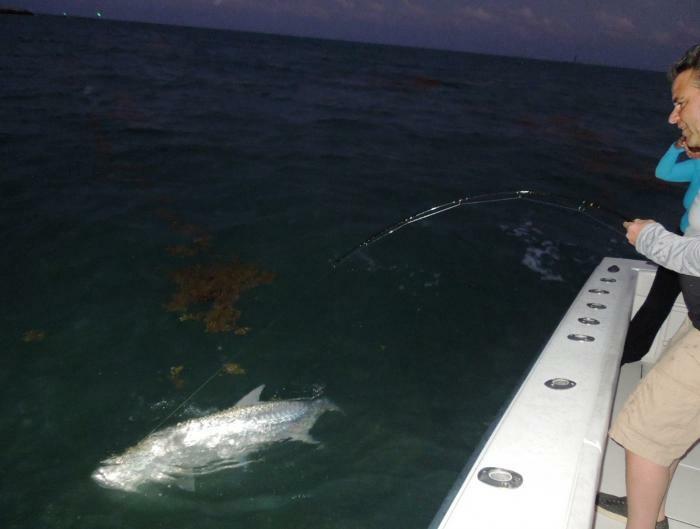 The first tarpon threw the hook on its first jump. The second fish stayed in the shallower water and put on a very good aerial show numerous times. The last tarpon took us into the Cut and gave us fits as it stayed deep and refused to come up. Both Adam and Crystal tag teamed the big fish and we eventually had the 120# fish boat side long enough to take a picture. The next day, Adam and Crystal were back for some offshore action. We started with catching bait. With that finally accomplished, we headed offshore. We made drifts in the 120 - 210 foot range. 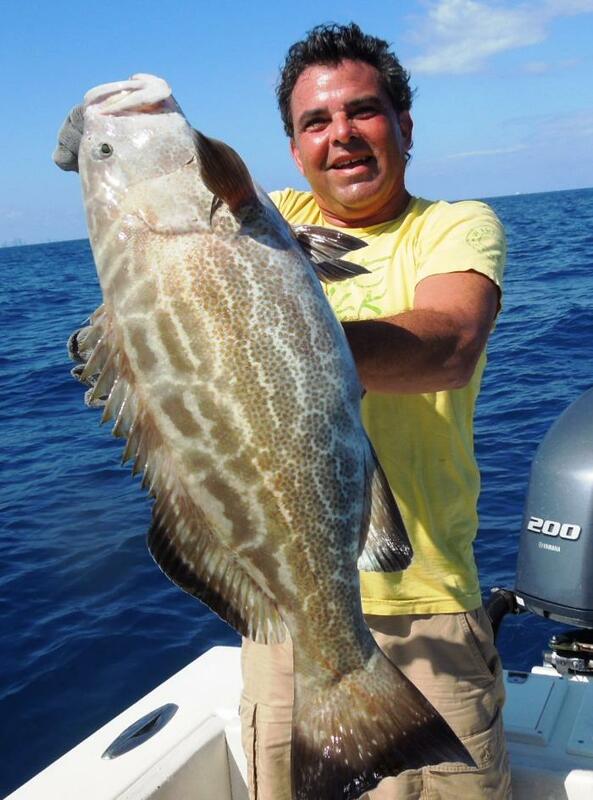 The action started with a black grouper. The next drift it was another black grouper. Both fish were released. Then a bonito. On the next drift there was a big explosion out by our bait and Adam had his hands full with a 26 3/4# blackfin tuna. 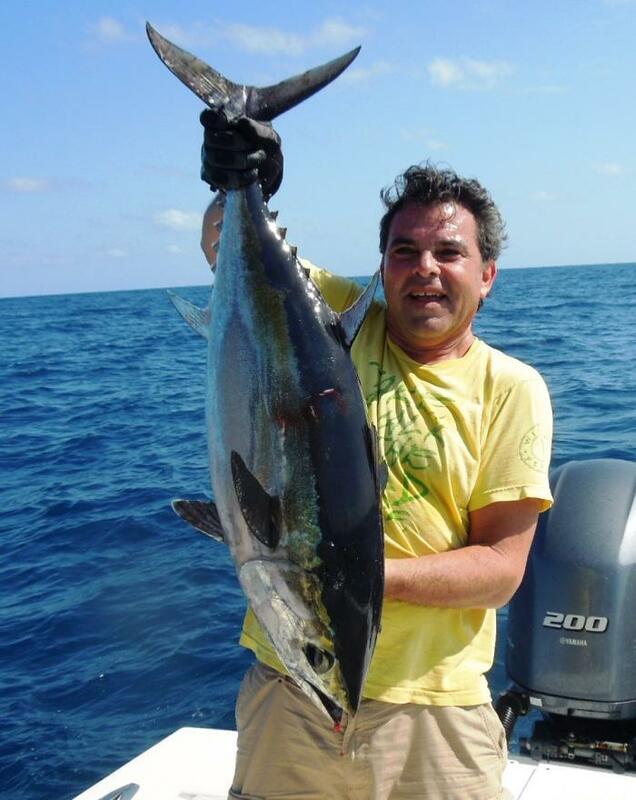 Another drift and this time a smaller blackfin tuna. The final fish of the trip was a bonito.